What Is Good About Furniture Made Of Natural Wood? Home » Home Improvement » What Is Good About Furniture Made Of Natural Wood? Natural wood, oak, pine, birch or beech was the very first material that people adapted for making furniture when they stopped digging niches in their dugouts millennia ago. For a long time, there was no alternative to furniture. Until the end of the 19th century and within 20 years the offensive of chipboards and plastics passed. Gradually, the euphoria of new materials settled, and the understanding of the superiority of the tree returned. At present, furniture made of fine wood, this is a luxurious environment, demonstrating the taste of the owners of the house. But any cabinet, chest or table from the solid wood has not only a status but also quite objective aesthetic and technical advantages over other materials. Remembering the elite of a set of natural oak or beech, most have forgotten that such a reputation for natural material arose as a result of the experience of many years of using wooden furniture. During this time, and found out all the advantages of beds, kitchen furniture or bookcases from the array. And from disadvantages, except for a higher cost, it is difficult to find something. But the price, after all, should be considered in combination with performance characteristics. The durability of wood, subject to the rules of operation. And many breeds, oak, aspen, beech generally reliably serve decades, even if the microclimate in the room is unfavorable. Scratches, scrapes, various small or medium defects on a wooden table or cabinet facade are amenable to elimination, restoration directly on site, without disassembling furniture or replacing it. Easiness of wood processing makes it possible to realize any designer’s imagination in the kitchen set or work corner in the schoolchild’s bedroom. And this situation will decorate your house very, very long. And given that the wood is beautifully painted, the owners of the house will always be able to renew their appearance, change the color of their old but strong and such native furniture, bring it into harmony with the new interior of the room after repair. A separate issue is an appearance. Here the noble aesthetics of natural wood are beyond competition. It’s not for nothing that customers in preferring solid, luxurious tables, cabinets, wall panels and entire cabinets or libraries of solid wood, rather than a bright screaming plastic or a cheap plate glued from sawdust. Because wooden furniture in itself determines the solidity, rich appearance of the room, on all waves signaling the welfare of the house and the success of its owners. Another important plus of any object of wooden furniture is the versatility of the style. This is a classic that never goes out of fashion, such chests of drawers, dressing-tables or closets are always relevant, and these things are considered a model of elegance in any era, regardless of fashion. Since this is a natural material, for its long service of wooden furniture its owners should observe certain rules. These requirements follow from the physical properties of wood: the inevitable hygroscopicity and the ability to slightly change the size under the influence of humidity and temperature in the room. Try not to allow too much moisture and temperature changes in the room. Although we must admit that furniture is more patient than the human body, so that by observing this point, you, in the first place, take care of yourself. In addition, do not use to clean the facades and other surfaces of furniture from the array of abrasive agents or modern chemistry with aggressive components, solvents, acids. Wipe your furniture with a soft, slightly damp cloth, and to remove strong contaminants, use methods and recipes for wooden furniture, many of them you will find on our website. Elegant solid wood furniture is the decoration of the house. But the aesthetics of this material is not the only advantage. 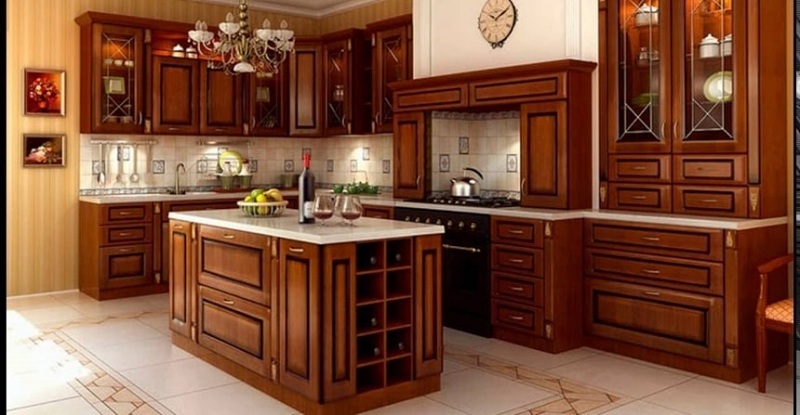 Wooden cabinets, tables, beds, chests of drawers and other pieces of furniture are also a durable, reliable environment. Made from oak, alder, beech tables or cabinets, have the technical advantages, which together with beauty and prove, 100 such furniture is deservedly considered elite. Previous post: What Is Hepatic Colic And How To Cope With It?